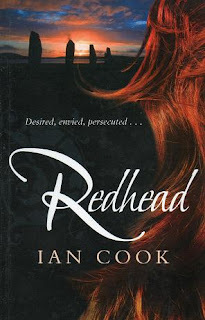 I recently read Redhead by Ian Cook. It’s a supernatural thriller and I would describe it as something of a cross between a Dan Brown novel and The Wicker Man. 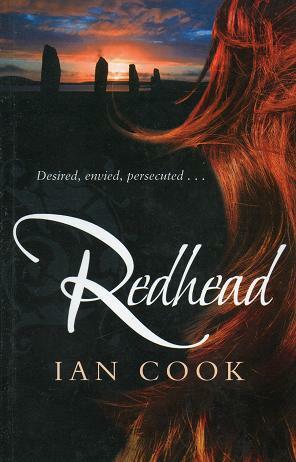 As the title would suggest the focus of the book is red hair and people with it. Given that I have a website about red hair it was right up my alley. I really enjoyed the book and I would recommend it to redheads and non-redheads alike. It’s very visual and cinematic. In fact it would make a great movie - if there’s anyone from the British film industry reading I would buy a copy (it’s about time we started making esoteric, science-fiction again). The story itself centres around a journalist’s investigation into the seemingly worldwide ritual murder of redheads that’s taking place. It begins in Carthage with visions of human child sacrifice and builds towards a dramatic climax amidst the Neolithic stones of Scotland - taking in ancient Egypt and Easter Island along the way. The book plays upon the palpable ‘otherness’ that’s often associated with red hair and ups the ante a fair bit. I’ll be really interested to see how the book is received by people who don’t have red hair. And by people with red hair for that matter. It should be interesting.